Share the post "The New Recipe Box: Keeping Track of Recipes Online"
The number of recipes you can find online is limitless, it seems. You can search for ingredients you have, ones you want left out, appliances you want to use and season (to name a few ways). 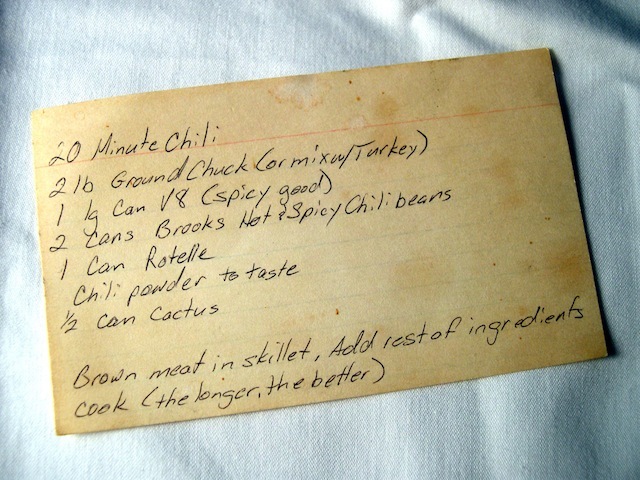 But once you find all of these recipes that you want to make (or keep to think about maybe someday possibly making), how do you keep track of them? Well, if you’re like me you either bookmark the page on your computer or pin it to a food board on Pinterest. Perhaps you even print out the recipe so you have it on hand and easily accesible (unless your recipe collection is as large and messy as mine!). Well, there are a few recipe sites now that are very visual like Pinterest, but are all food. Foodfolio combines recipe retention with social media. The layout is reminiscent of Pinterest as is the usability. You can browse for recipes saved by other users and you can click to like them (or “Crave” as they call it) or add them to your own Foodfolio account. The design is very clean and orderly and it is easy to use. Currently you need to request an invitation to join in but don’t let that scare you away. I remeber when I requested an invite to Pinterest (I was SO happy the day that invite came!) and now I am pinning like a mad woman. Foodgawker looks similar to Foodfolio (and Pinterest) at first glance, But rather than being a collection of users saving favorite recipes which you can then also save, it is a collection of recipes that can be grouped by the page they came from. It also takes you straight to that page when you click the picture and the page is listed below the photo and is easily seen. You can click the page listed and it will show you all recipes from that site. You can search by various designations (such as ingredients or type of meal) and can create an account to be able to save favorites. When you hover over a photo it shows options to Pin the recipe (onto Pinterest) or share via Facebook, Twitter or Google Plus. Foodily has similarities to the other sites but also stands out a bit. It seems to combine features from both Foofolio and Foodgawker. 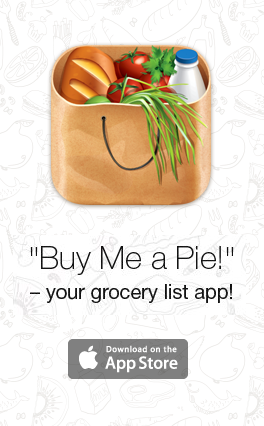 You can have a profile within Foodily and can save, like and share recipes with friends. You can even add in your own recipes. But where Foodily stands out is the detail. They manage to still look clean and organized while giving more detail and options. Under the photo you see the name of the recipe, the site it came from, designations such as Gluten Free, who has also saved the recipe, and then…here is where the foodie in me gets excited…It tells you right on there how many ingredients, how long it takes to make it AND shows you the ingredient list! I love this feature as time and number of ingredients (or how likely I am to own or use said ingredients) is a huge factor in my recipe choosing. You also have the ability in Foodily to narrow your search. You can choose Summer Grilling recipes and then check off boxes like “Quick” and “Top-Rated”. If you’re very into details, like me, you’ll appreciate this site. Like the other sites, Yummly shows a picture of the recipe and lists the site it originated from. According to their main page you can “search every recipe in the world”. Maybe it was this vast access that made it slow and glitchy for me to use. Every time I tried to scroll it would wait and then jump to where I was. I only seemed to have this problem on the main page though so perhaps it was the very large header ad bogging things down. When you click on a recipe it keeps you within Yummly but shows you part of the recipe. After a list of ingredients there is a button to take you to the original site to view the full recipe. I’m not really a fan of all of that clicking through to finally reach the recipe. If I’m clicking it I’m interested enough to want to see the full recipe, not just half. From the first screen you click to you have the ability to share it on social media sites, print the recipe or save to your own favorites (by clicking the “Yum” button). If you click the name of the site the recipe originated from it takes you to a page listing all recipes from that site (still within Yummly). And of course, I’ve mentioned it several times in comparison, there is Pinterest. While Pinterest isn’t all food it is still a great site. On Pinterest you set up a profile page and boards where you virtually “pin” things you want to keep track of. From books you want to read to preschool crafts to how to cook a turkey. You can pin anything and everything to Pinterest. The benefit to using this site is you can create boards of your choosing, so you can separate dessert recipe from drinks and side dishes and even have an entire board devoted to your favorite ingredient if you so choose. I only wish I had done this when I started Pinterest.